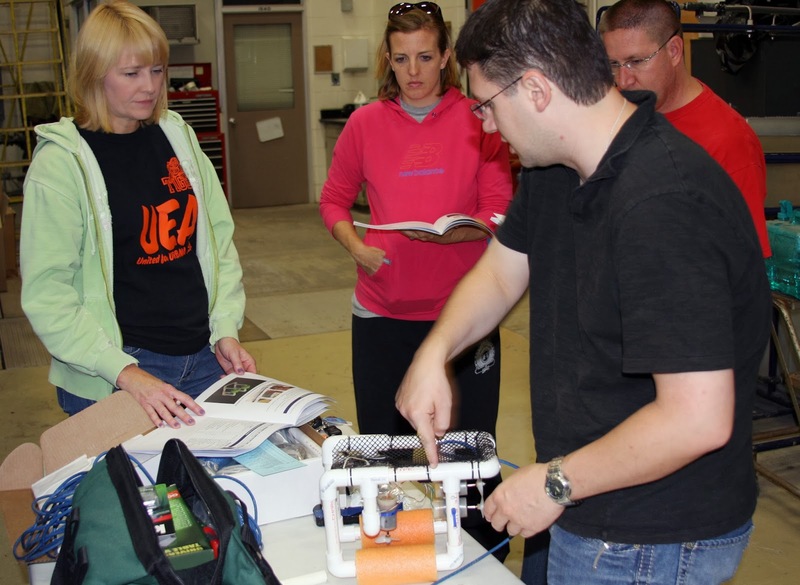 Last month, we announced that six teachers from the Champaign-Urbana area had won tool kits for constructing simple, remotely operated underwater robots with their students. With the help of online lesson plans, the winning teachers will use the SeaPerch robots to teach their students about topics including buoyancy, propulsion, circuitry, and biological sampling. 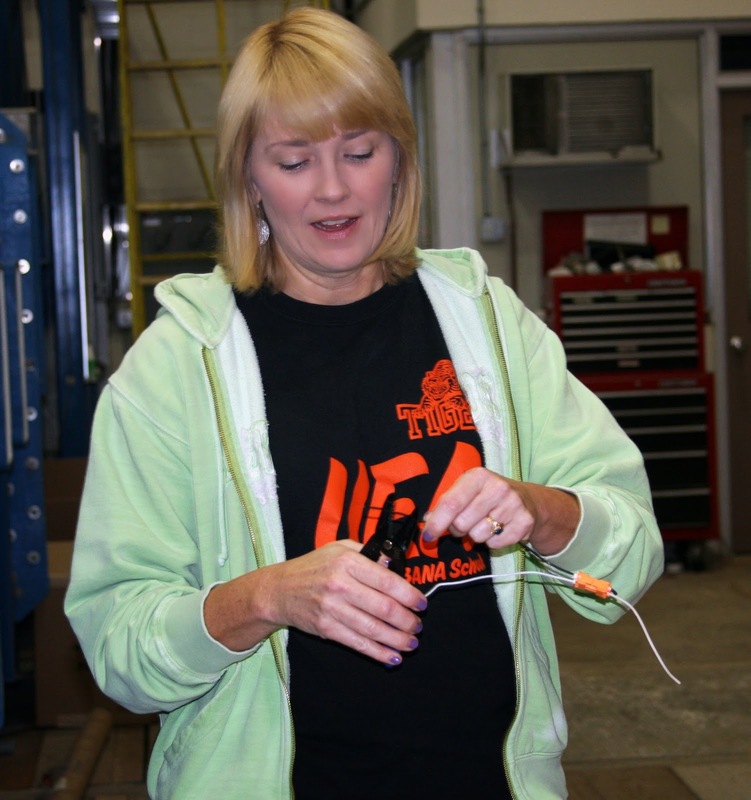 Along with the kits, teachers got an opportunity to learn construction techniques and practice using the equipment during one of two SeaPerch Build Sessions held in October. During the sessions, Blake Landry, coordinator of the University of Illinois SeaPerch Program, took teachers step-by-step through the build process. The winning teachers have big plans for their robots. Some will use them to introduce their younger students to basic engineering concepts for the first time. In other classrooms, the robots will provide an opportunity for students to test their knowledge of things like simple circuits. Some teachers are even considering partnering up to start an after-school club that will compete in the national SeaPerch Challenge. With these six teachers now using SeaPerch, there is also a possibility that they may launch a regional SeaPerch Challenge. 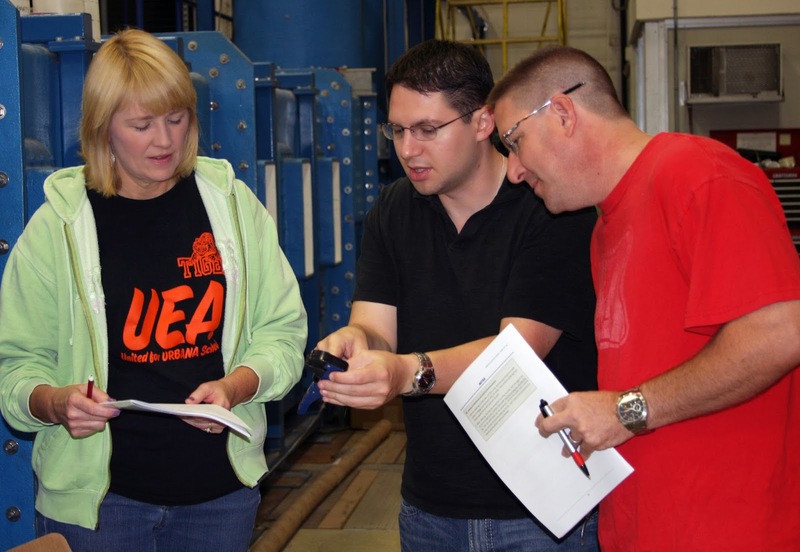 The SeaPerch giveaway contest was funded by Illinois-Indiana Sea Grant to help teachers in the Great Lakes region integrate science education with engineering and math. Visit the SeaPerch homepage to learn more about the tool kits and the SeaPerch program. Top: Blake shows Carol Smith and Geoff Frymuth how to use the tools provided in the SeaPerch teacher’s kit. Carol is a 5th grade teacher at Leal Elementary School in Urbana, and Geoff teaches 7th grade science at Champaign’s Jefferson Middle School. Middle: Carol practices stripping electrical wires used to connect the three motorized propellers that steer the underwater robots. Stripping wires and building motors are just a few of the many engineering tasks her students will have to do when they build their own robots in the spring. Bottom: Carol, Geoff, and Jen White, an 8th grade science teacher at Jefferson Middle School, take notes as Blake shows how to install and waterproof the motors and secure the frame of a completed SeaPerch robot.